Who reached the terrestrial North Pole first on April 9, 1909? No, it wasn’t Masterflex, but Robert Peary, his partner Mathew Henson and four Inui. But there is life, in the Arctic Circle where conditions that we think may be considered too tough for us, in the outer reaches of the Arctic Circle, Inuit tribes live there in northern Canada and Alaska. They are living together with the arctic fox, Svalbard reindeer, polar bears and other beings. Birds including, guillemots and puffins can be seen around the north pole. Penguins live in the south pole, but auks are like penguins that can fly are seen in the Arctic Circle. Alert only 817km away from the North Pole, a tiny settlement neighbouring the city of Edmonton is one of the most inaccessible spots on the planet and the northernmost settlement on earth. Alert is a unique settlement in Canada with weather conditions the main obstacle for tourist. Visiting the Quttinirpaaq National Park, by tourists, is probably the only attraction thing to do when visiting Alert. The park, with amazing scenery, has wolves, polar bear tracks, musk ox, hare, birds, flowers and more. Still singing ten years on!!!! Masterflex would like to congratulate Karl “The Singer” Summerscales. Karl has reached his ten year mile stone working as part of a dedicated team for Masterflex Technical Hoses. He has managed to entertain us all with his singing and his uplifting spirit. Employed as a Hose Technician, Karl is responsible for manufacturing our many different types of hoses, from Flamex BF to HT1100, made to suit the requirements of our Customers. Masterflex would like to take this opportunity to thank Karl for his hard work, loyalty and entertainment!. 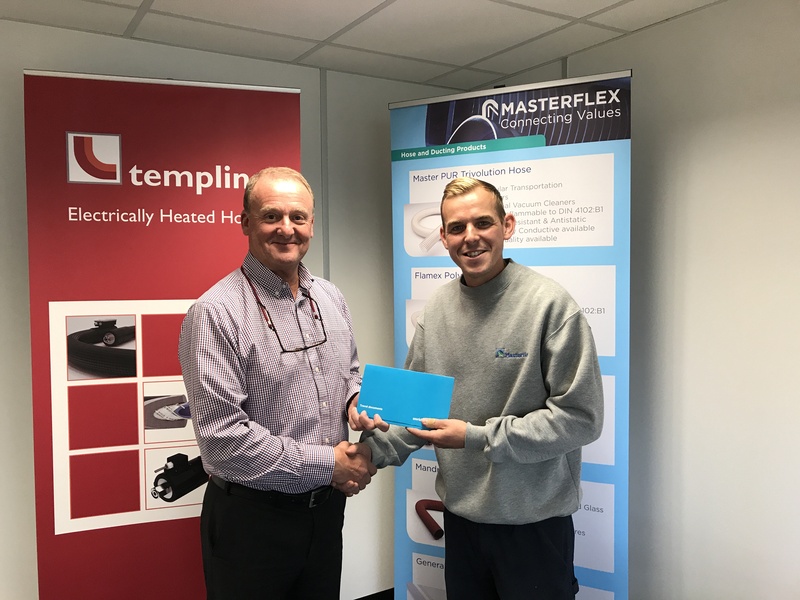 Mr David Collier (Managing Director), presents Karl with a token of Masterflex’s appreciation. 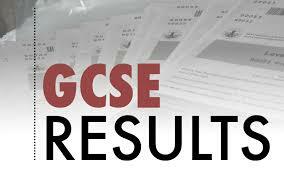 It’s an anxious and nervous day for all the Girls and Boys today, as the GSCE results are here. Introduced to the UK in 1988, the GCSE was to replace the “O’Level” and the “CSE” examinations. One of the main changes consisted of two years of coursework, which was to contribute towards their final results. After revising, taking the exams and then relaxing over the summer, today is the day all their hard work has hopefully paid off!!! Masterflex would like to take this opportunity to wish you all the best of luck and we hope you get the results you wish for. The next decision will be what to do next???? You may decide to have a career in the Motor industry, Construction, Woodwork, Medicine, Food or maybe the Military, to name but a few. Here at Masterflex Technical Hoses we have manufactured and supplied hoses for all of these industries. For further information, please check out our website or simply call our friendly Sales Team on 0161 626 8066. For a copy of our ISO Certificate just click on the link. 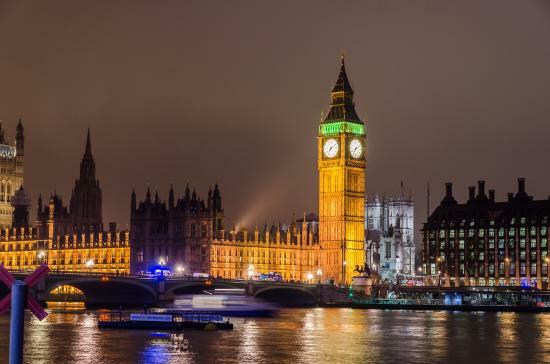 Time for some repairs………Big Ben will be silent for several months! What an iconic Landmark and probably the most famous clock in the world, Big Ben. Big Ben is the giant bell in the belfry of the Elizabeth Tower at the Palace of Westminster, which has been overlooking our Capital City of London, for over 151 years, and has become a very popular tourist site. Cast at Whitechapel Bell Foundry on the 10th April 1858, the famous clock is now in need of some repairs due to cracks in the masonry and corrosion to the cast iron roof, so whilst the construction and mechanical works are to be carried out, there will be no more chimes during this period. So at 12.00pm on the 21st August there will be no more dongs……..!!!! !